With consumers’ preference shifting towards sports inspired athleisure clothing, Italian sports and fashion brand Fila , a key player in the Indian market, is planning to strengthen its presence in the country though an aggressive expansion strategy. In the next three months, it will open stores in cities like Mumbai, Bhubaneswar, Baroda and Chennai. The brand is projecting sales to grow more than 50 per cent by the end of this financial year. As part of the new Heritage Store format, Fila has been opening one store a month and expects to keep this momentum going in 2019. The next 3 months will see stores coming up in Mumbai, Bhubaneswar, Baroda and Chennai among other cities. The focus will be skewed largely towards Fila Heritage format stores, driving fashion lifestyle imagery in the premium sportswear segment with a global Heritage collection across footwear, apparel and accessories. 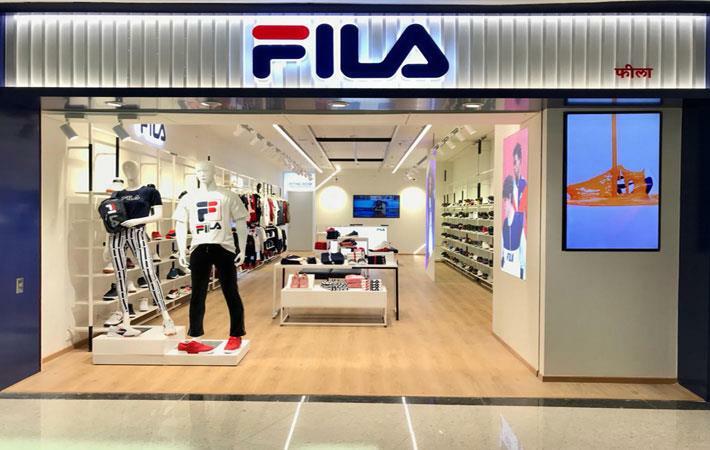 Aside from main metros and mini metros, Fila has set its eye on the North Indian market with a focus across Delhi, Gurgaon, Noida, and the entire region of Punjab, followed by South India. While company owned stores will be the primary objective, the brand is identifying some key partners to pursue a franchise model. Maintaining uniformity across layout and design, the average store size is expected to be between 1000-1200 sq feet carpet area with larger flagship locations in metros.